A sign from Japan – are your signs as good? “Sign, sign, everywhere a sign” – do you remember that classic lyric? While we are not debating the intent of the song today, we are talking about signs. Japan is full of signs. Signs to tell you what to do and how to do it. Signs directing you how to use toilets, hot springs, how to shower and much more. When I travel, I am always on the lookout for different ways that cultures approach safety and risk management. 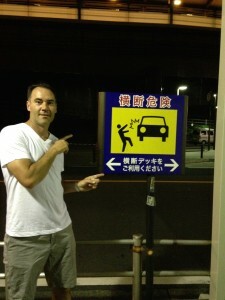 I recently returned from Japan and one thing that struck me was how explicit their directions and signage is. We, here in the U.S. or at least in California, have adopted this explicit language in contracts, waivers and instructions on the dangers of participation, but not to the same degree in our signs. 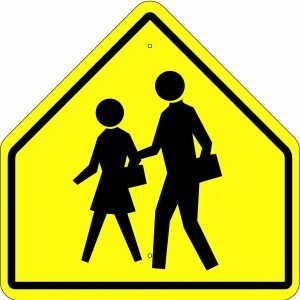 In this picture, the sign is instructing you not to cross at the opening in the sidewalk because you may be struck by a car. The difference between this sign and the signs we use in United States is that this sign shows the outcome of not following the warning. In the United States, we tend to show pleasant pictograms that never engage the “fear” in our brain – that part of our brain that keeps us out of trouble. Maybe it’s time to think about how we design our signs. Maybe it is time to borrow a concept from Japan and be more explicit in our signage. The key is to reverse our thinking – spelling out the dangers.